Artist Feature: Miles Glynn — iolabs inc. I am a visual artist based in Bozeman, Montana. I grew up the son of a U.S. Army photo-journalist and this experience taught me how to see life in frames and compositions. It also planted in me a deep affinity for traveling long roads, exploring out of the way places, and going to great lengths to create intriguing images which tell compelling stories. But beyond merely documenting my subject matter, I aim to present my interpretation of it. Herein lies the art - the depiction of something striking yet soothing, familiar yet curious, and something nobody else at the same scene could have envisioned. This interpretation, so central to my creative drive, is what I present in the hope that others will find familiarity, curiosity, and resonance in my work. Keep reading to learn more about Miles, his creative process, and some new projects he’s working on. How important is process to your photographic work? What does this look like for you? Process is important in my photography, but I don't tend to adhere to a very rigid process. The overarching process is basically two fold: creating conditions that are conducive to sparking ideas and then acting on those ideas. I've been trying to be more purposeful and deliberate in generating ideas. Reading books, listening to music, watching documentaries, traveling to certain places, researching history: all of these inputs are chosen with the aim of generating ideas. And then I'm trying to be more deliberate in executing ideas and following through to bring them to fruition rather than remaining an idea that eventually gets lost. Since becoming a full time artist I've been blessed with more time and resources than I previously had, but with that comes the challenge of time management. So I try to spend as much time on activities that fall within either idea generation or idea execution and if I'm doing that then my work tends to progress pretty well. Place is a clear thematic element in your work. Would you mind telling us more about where and why? With my Dad as a photojournalist in the U.S. Army, I was fortunate to be able to tag along on photo assignments. I've always associated photography with telling stories about places. I was born in Spokane, Washington but then we moved around based on where my father was stationed. Every summer we'd load up the car and take a summer road trip back to the Northwest to visit family. I got to see and experience the West by driving there from different places, Texas, Indiana, etc. These experiences growing up set in motion my interest in the West and all of its places, history, events, animals, and people. I've now lived in Montana for about nine years and since moving here my love and affinity for "the West" has really deepened and widened. Most of the creative work I do now is an attempt to show my perspective and interpretation of the West. How do you decide what animals to photograph? Is this also tied into your interest in documenting the history of the places you photograph? Interpreting the West is my broad focus right now so that's a starting point for choosing animals. They can be wild or domestic but they must local to this place. The wallpapers I use are also all from the West. So even though I'm juxtaposing the animals with the wallpapers, they fit thematically. Aside from that I choose animals that are visually pleasing to look at. That said, I probably won't be doing a rattlesnake any time soon! What are some of your visual or literary/textual influences? Does your inspiration also fall outside of landscapes and the animals that inhabit those landscapes? By absorbing inspiration from many differing sources, I find it better if they're separate from the specific work that I do. I need other input and other sources of interest which keep me motivated and inspired. If I spend too much time thinking about my specific work — animals, wallpaper, vintage Western magazines, etc., then I can get burned out and I'll eventually lose the motivation I need to keep acting on those ideas. So gaining some distance from my work is healthy and it tends to rejuvenate me as well as inspire me for when I'm ready to return my focus to my creative work. Though I have not a musical bone in my body, enjoying music is probably my biggest source of inspiration and influence. I spend a lot of time delving into musicians and bands which are an endless source of inspiration to me. Whether iconic artists like David Bowie or Neal Young, or lesser known but hugely influential artists like Damien Jurado, John Frusciante, or Jason Molina, I get a ton of inspiration from recording artists. I sometimes have to laugh because I'll be working on a beautiful horse with an elegant floral pattern and soothing colors but I'll be listening to Black Sabbath or Joy Division, which seems like a total contradiction. But somehow it works and yields the resulting body of work. What is something new you are working on? I have just begun making mixed-media original versions of the Wallflower Series. 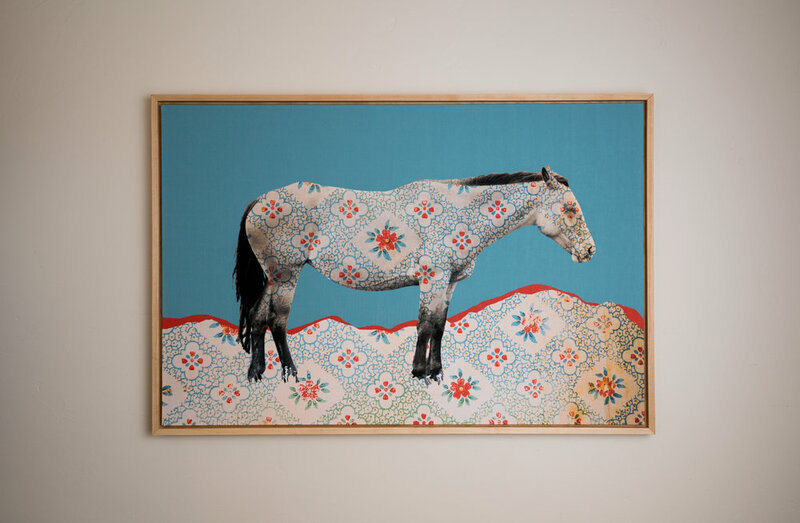 So I still photograph an animal and digitally juxtapose it with wallpaper, but with these artworks, the animal is the only printed part of the piece. I'm using actual wallpaper from the 1940s and 50s, as well as paint, metallic leaf, moulding paste, etc. to create all of the other elements. I'm excited to still use my photography as a central component, but to also explore more materials, textures, etc. With these I lose the history of the wallpaper because they're not found in historic buildings which have unique stories. But I do gain the tactile element of having the actual original and unused wallpaper incorporated into the piece. I will likely continue producing both the prints on Belgian linen (printed at iolabs), as well as these mixed-media originals. I have also begun working on large collage pieces which I have never done before. These are completely collage-based with no photography involved. 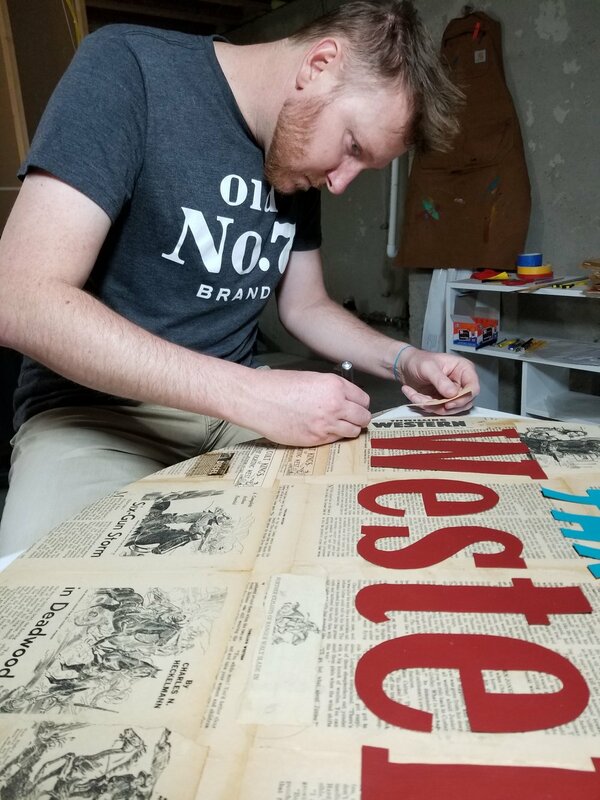 They're based on vintage Western pulp fiction magazines and I'm using the actual magazine pages to create collages that serve as an homage to that genre that had a massive role in shaping America's enduring fascination with all things Western. It's been really fun for me to branch out and work in another medium besides photography. I've even collaborated with a neon bender to install neon into a piece to add a dramatic and vintage element to it. The themes that have emerged in my work are interpreting the West and giving new life to parts of our history that have been largely forgotten. Giving new life to these Western pulp magazines is an extension of those themes. I feel extremely fortunate to have the time and resources to follow and develop these ideas. How is your artwork related to things outside of your making that are also important to you? All of the themes and ideas behind my work need to be related to things which are important to me personally otherwise I wouldn't have motivation to do them and, most importantly, they would lack the authenticity which is a major factor in any artwork resonating with people. I don't have a specific cause I'm supporting or well-defined message to my work. But by showcasing these things which are important to me, such as animals or historical elements which are largely forgotten, I do hope to raise sensitivity and appreciation for them. Visit Miles’ website and instagram to see more of his work online. Thanks so much Miles for sharing with us, and thanks all for reading! It’s difficult to find sophisticated, well-crafted, hardwood frames that don’t draw too much attention to themselves or cost a pretty penny. And what’s better than allowing your art or photograph to be viewed, unobstructed by glass or acrylic? 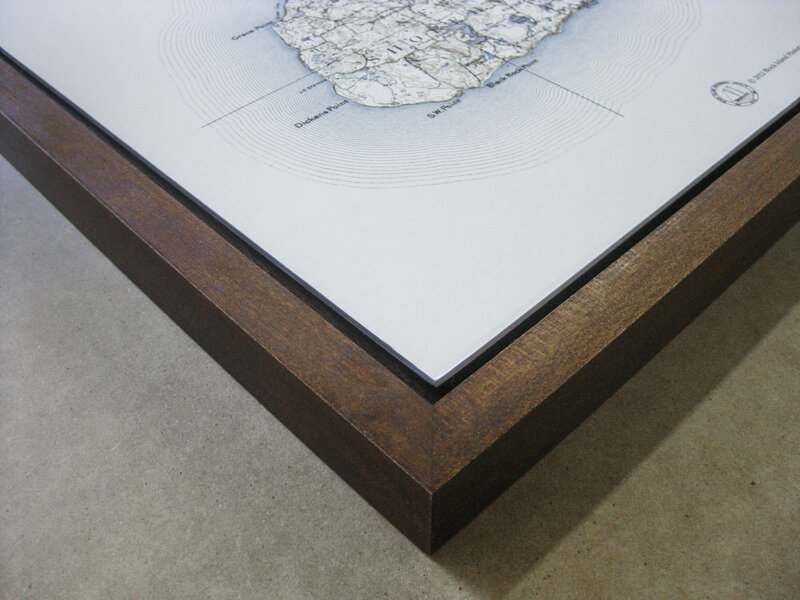 Beautifully hand-crafted, on-demand, from Maple, Oak or other hardwoods as requested, float frames can accommodate your artwork or photograph in sizes from 2 x 2” all the way up to 60 x 120”. The face and depth dimensions plus finish color of these frames can be customized to complement each artwork or photograph being framed. Custom stain colors and paint colors are also an option, upon request. Some of the these include natural/ danish oil, golden oak, mahogany, walnut, black satin, white wash, driftwood, and more. Float frames do not include glass or acrylic, but there are many protective surface options that can be applied to prints to allow for added protection against UV light damage, moisture, and scratches. Float Frames can be fitted for easy wall mounting such as hanging with wire, D-rings, or french cleats. Locking hardware can also be added to prevent float frames from being lifted or accidentally knocked from walls. For more images and framing information, check out our Framing + Mounting Page or contact us via phone or email. 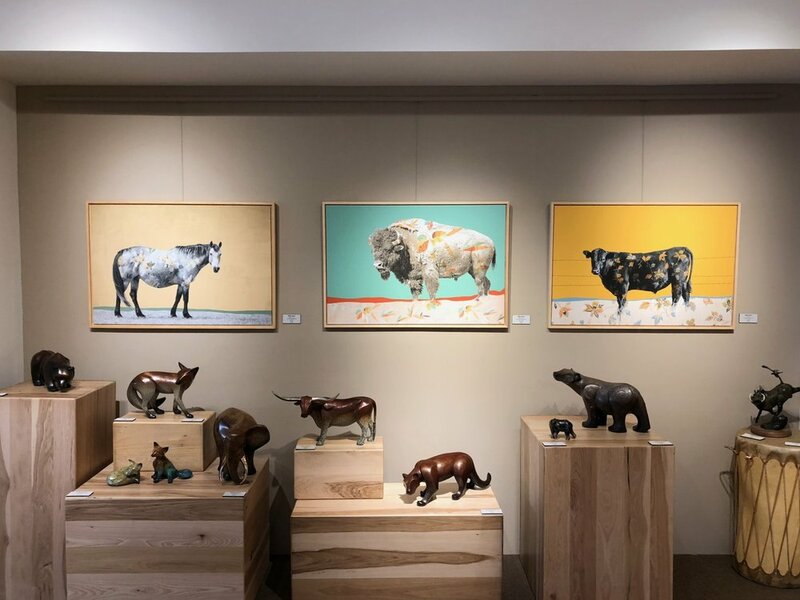 We’ve put together a list of local RI art events we recommend checking out, and some of which we’ve been lucky enough to work with the artists featured. Looking forward to seeing you at some of these! An eclectic and striking show at this museum in Harvard, MA featuring the collection’s origin story and timeline. Kirstin Lamb, resident artist, has helped hang the show and will also be exhibiting new drawings inspired by objects in the collection. Show opens Saturday April 13th, 2019. True West by Sam Shepard, last show of Season 34! a pop-up gallery and residency at 233 Westminster Street, Providence, Rhode Island. Thanks for reading, and happy spring y’all! For over fifteen years, iolabs offers the finest quality custom printing and imaging services in the industry--from advanced fine art print editions and custom textile solutions to large-format commercial and museum display graphics. Iolabs is owner-operated, innovative, and customer friendly. Our studio will never fail to impress you. Here you'll find unmatched attention to detail in every print and project, along with a genuine artistic interest and collaborative approach. We truly care about your work, and that commitment to individual service is just one of the qualities that sets us apart.